One of the most interesting parts of moving to Canada was getting to read some of the amazing books that have been written by Canadian authors over the years. From what I’ve observed, there seems to be a lot of Canadian literature that isn’t necessarily that well-known in the United States. While I can’t say for sure if this is true for other countries as well, I hope that all of my readers, Canadian and otherwise, find something that piques their interest on this list. On one final note, I narrowed this list down to books and authors that I hadn’t heard of at all before I moved up north. This meant leaving out some fabulous writers like L.M. Montgomery and Margaret Atwood simply because so many people across the world have already discovered their work. 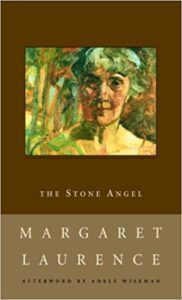 The Stone Angel has actually become one of my favourite books of all time even though Hagar, the main character, was often a pretty unpleasant person to those closest to her. What I enjoyed the most about the storytelling was how real it felt. As I believe I’ve mentioned on this site before, Hagar went through some incredibly difficult experiences throughout her long life. 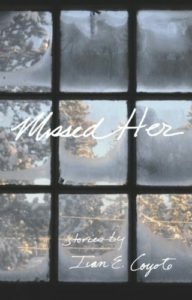 She was treated poorly by both her parents and the much-older man she married as a young adult. 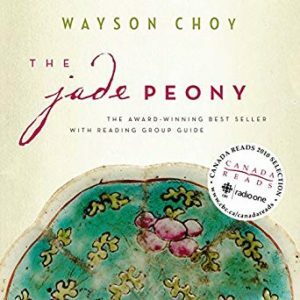 It was so interesting to get to know this character and come to understand why she was so stubborn and prickly at the end of her life. Raising an intersex child can come with some additional challenges, especially for a family that decided to keep this part of their child’s identity top-secret. I knew almost nothing about this topic before I read this book, but I was impressed with the way the author explored everything from how gender identity is formed to how a secret can take on a life of its own. It took me a couple of tries to get into this story, but once I did I couldn’t wait to find out what else Saul remembered about his life as he lay dying in a hospice bed. There is something about looking back on one’s life and finally attempting to put all of the pieces together after years of ignoring them that really speaks to me. 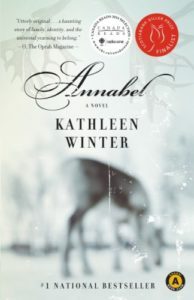 I was especially interested in discovering how the three youngest siblings in this tale compared their childhoods. There is something fascinating about seeing all of the similarities and differences siblings will remember when they were raised in the same home. My family only had three children in total, but I’d say that all of us would still describe our childhoods in different ways based on how our family culture evolved as we grew older. I also enjoyed this peek into Chinatown, Vancouver from so many decades ago. The families who moved to such a faraway place that often rejected them were very brave. Reading about an eleven-year-old girl being kidnapped in Africa before being sold into slavery in the United States isn’t an easy experience. I can’t recommend this book to anyone who is triggered by violence or sexual assault, but the storyline is well worth the read for everyone else. Aminata was an incredibly brave character. I loved seeing how she changed over the years as well as how her yearning to return home and be with her family again never wavered no matter how many years she spent far away from her birthplace. Not only is Ivan a gifted storyteller, she’s hilarious as well. I’d especially recommend this book to members of the LGBT+ community who grew up in small towns or anyone who has ever wondered what that experience is like. Longterm readers may recognize this author. I’m a huge fan of his writing, and I’ve talked about his books here several times before. Someday I might have to dedicate an entire post to him. 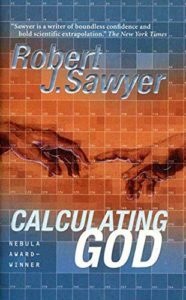 Calculating God was the first thing I ever read from Robert. 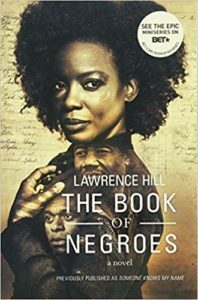 At the time, I was quickly growing uninterested in religious themes of any sort in novels, so it took me a while to decide to pick this tale up. I made assumptions about it’s content that turned out to be pretty off the mark. While it did ask questions about the nature of faith and why sentient beings choose to believe a wide variety of things about the existence (or non-existence) of any deity, the vast majority of the plot was actually about a palaeontologist who was stunned when an alien wandered into the Royal Ontario Museum, his workplace, one day and asked for help. This is the sort of thing I’ve since been recommending to people who might think they’ll never like science fiction. Not only was it an excellent story, it was thought provoking and a smart introduction to my favourite genre as well. 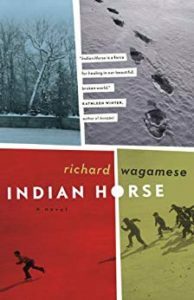 What are your favourite Canadian books? If there are any fellow immigrants or longterm world travellers following this site, what authors were you most excited to discover when you settled into your new country?